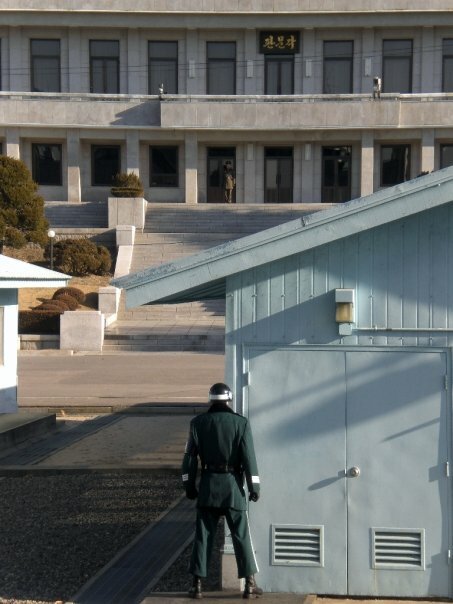 Visiting the DMZ (De-Militarised Zone) is one of the most unusual and interesting things you can do on a visit to Korea (or indeed anywhere), giving you the opportunity to take a peak into the hermit state and even step across the world’s most heavily fortified border and stand on North Korean territory. 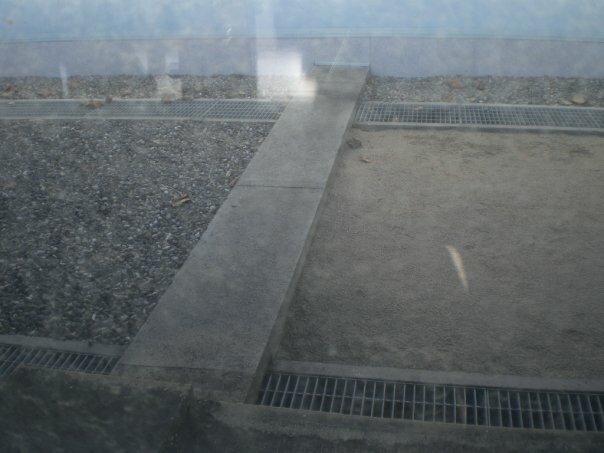 Centred along the MDL (Military Demarcation Line), the DMZ is the buffer zone between North Korea (DPRK, the Democratic People’s Republic of Korea) and South Korea (ROK, the Republic of Korea), and has been since the 1953 armistice which brought a halt to hostilities in the Korean War. No official peace treaty has ever been signed though, so the two remain technically at war and this is the most heavily armed frontier in the world. North Korea has upwards of a million troops standing ready to invade and a conscription period of a decade or more, while all South Korean men must complete two years of military service; the North conducts regular missile tests and is now thought to have some nuclear weapons capability, while the US has 30,000 troops stationed in South Korea as well as the newly deployed THAAD anti-missile system (a controversial move which has caused a diplomatic spat between Beijing and Seoul leading to economic retaliation by China against South Korea’s tourism industry). So, in short, it’s pretty serious stuff; and if you like paying attention to the serious stuff, to the history and politics, of the places you travel to, then a DMZ tour is a fascinating way to do so. The DMZ covers a large area – although only 4km wide, it’s 250km long – and there are multiple points of interest with various different tours available. 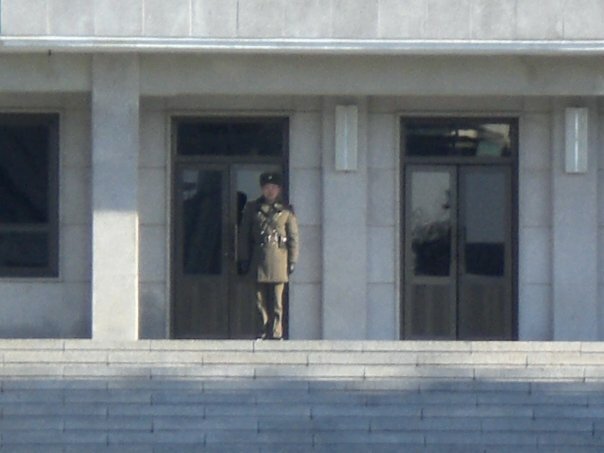 For the majority of visitors, the main thing to see is Panmunjeom, the JSA (Joint Security Area) where North and South Korean border posts (and guards) face each other directly, and a cluster of UN negotiation buildings straddles the border itself, standing half in the North and half in the South. Not all tours include the JSA, so be sure to double-check what’s included before booking anything. The day starts with the drive out of Seoul up the Freedom Highway, itself a fascinating experience as you leave the urban sprawl on a highway alongside the Han River, the traffic slowly thinning as you bypass the suburbs; and then you reach the confluence of the Han and Imjin rivers, the Han turning towards the sea but the highway following the Imjin north, and now the opposite bank is North Korea. 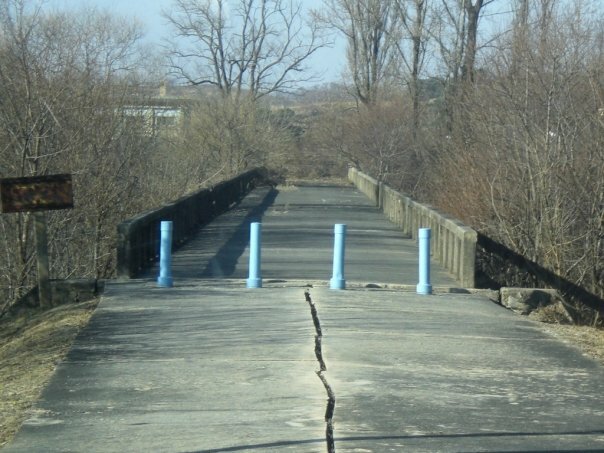 Fortifications line the riverbank, and you drive under large advertising billboards which mask concrete barricades that can be dropped to block the road at the push of a button in the event of invasion. 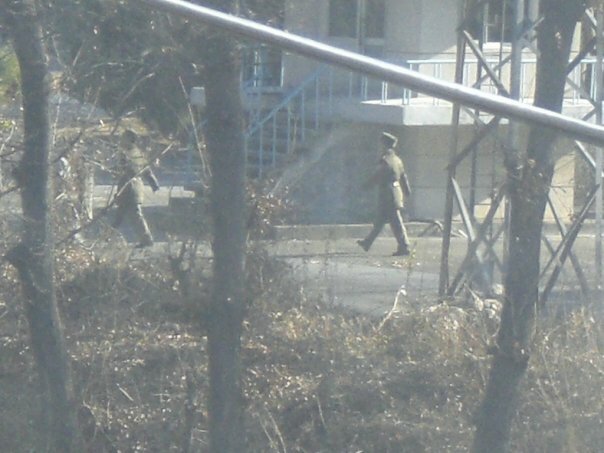 The traffic thins to a trickle, and eventually disappears; your bus drives along a wide, empty, desolate highway, fortifications running along the riverbank, North Korea facing you on the far side. Not your typical morning drive! Arriving at Camp Bonifas (the UN base just before the JSA, manned by US and South Korean forces), you first sign forms acknowledging that you’re entering a potentially hostile area and accepting that the UN / US / South Korean forces are not liable in the event you should be killed or injured by enemy actions, and you then go for a safety briefing given by one of the US officers; it’s fascinating stuff as they refresh your memory on the Korean War and explain the history of the DMZ and the various violent incidents that have taken place there over the decades, most notably the dramatic defection of a Soviet citizen during the Cold War (leading to a firefight in the JSA with multiple casualties), and the axe murder incident in which two American soldiers were killed by North Korean troops while attempting to trim a tree that was blocking the view of a North Korean position in the summer months. The tree was cut down a few days later in an operation involving helicopter gunships, B-52 bombers, an aircraft carrier group and fighter planes, and a large squad of South Korean special forces tae kwon do experts; Camp Bonifas is named for the American captain who was killed. You’re then given a series of strict instructions to follow in the border area, such as no gestures, photography only when indicated by your guide, no flash photography, and so on (and there’s also a strict dress code for the day, to prevent your photo being used for propaganda purposes by the North); and with that done, you follow in single file to the border area itself where you see the group of small buildings straddling the border and the large North Korean border post beyond them. 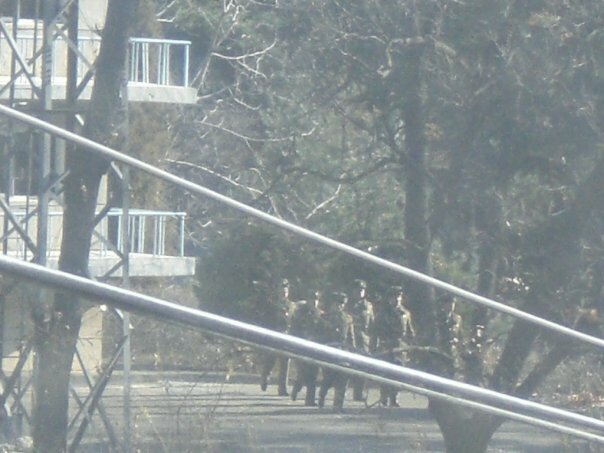 North Korean troops were clearly visible keeping an eye on us all from the building on their side, while South Korean troops stood watching back in their combat-ready posture, half-concealed behind the corners of the negotiation huts. Despite all the soldiers, weapons, and warnings, as long as you do nothing silly a visit to Panmunjeom feels pretty safe, if a little tense; conversely, it’s also a place where doing something silly would be a very bad idea indeed! 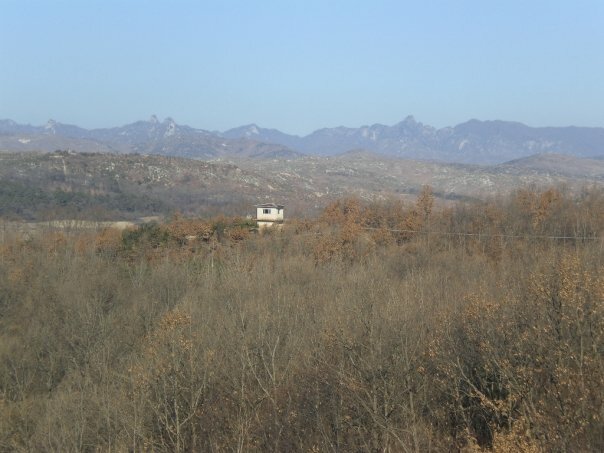 As well as the JSA itself, the tour I did also took us to the Third Tunnel (one of the secret infiltration tunnels the North Koreans dug under the border), and Dorasan (also reachable independently by DMZ train or by Seoul Metro & bus via Munsan & Imjingang stations (see Imjingak resort below), and the furthest you can go without needing the security clearance required for JSA tours); Dorasan station is the last South Korean station on the line to Pyongyang, and not presently in service except for the DMZ tourist trains. 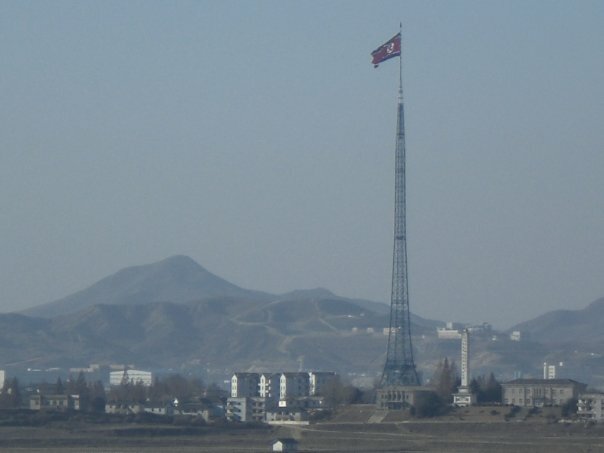 Nearby is the Dorasan observatory, a hilltop lookout from where you can look a fair distance into the North using binoculars, principally at the town of Kijong-dong, an ersatz town apparently built entirely for show as a display of North Korean ‘prosperity’ but which stands mostly deserted, yet which flies a huge North Korean flag from the 4th-tallest flagpole on earth (it used to be the tallest, but has recently been overtaken by a few in the Middle East & Central Asia). Bizarre stuff, and most interesting. If you want to visit the DMZ as independently as possible, or are unable to get a spot on a JSA tour (note that children aren’t allowed on JSA visits, and nor are South Korean citizens), you can visit Dorasan and the Third Tunnel from Imjingak resort (near Imjingang station) or on a (non-JSA) DMZ tour from Seoul, the latter necessary if you want an English-speaking guide (or alternatively, visit the Odusan observatory located at the confluence of the Han and Imjin Rivers); however, if you want to visit the JSA itself, you do have to go on a group tour from Seoul. All visits into the JSA are conducted by the US forces stationed there, regardless who you book the tour with; there is a US forces travel agency called USO (United Service Organizations), aka Koridoor, which operates on the US bases, and though they mostly serve US military & dependants, civilians are also welcome to book with them. The USO is the ‘main’ tour operator for DMZ tours which include the JSA, though there are a number of other companies operating similar itineraries. I went with USO and actually booked it in person by rocking up at their office on the US base (Camp Kim) near Samgakji station (come out of exit 10 and walk north on the main road for 5 minutes or so until you reach the base entrance – and remember your passport! ); I did this on the first day I was in Seoul, and managed to get on a tour towards the end of my week in the city. They don’t have tours every single day, the tours fill up, and it takes several days to get your security clearance for the JSA, so you may prefer to book online if you’re not able to be flexible or you just want to be sure; you can do that here. I was perfectly happy with the USO tour, and being the military’s in-house agency they have the best prices; however, in the last couple of years there’s been another tour (this one) with another company (PTC) which along with the JSA and the usual DMZ spots also includes the opportunity to meet and chat with a North Korean defector, so you might want to consider that instead. If you can’t get a spot with any of the above, just go with whoever has availability; the travel desks in Seoul’s hotels can check availability and make reservations for you, or try Trazy (here) which has a fairly steep markup on the JSA tour but is reliable and easy to book & deal with online (I sometimes use them for snowboarding). It goes against my normal travel preferences to have to plan ahead and book tours this way – like many others, I generally dislike joining group tours and prefer to travel independently, but in this case it’s absolutely worth it and a DMZ tour with the JSA visit is surely the least-touristy tour out there. It’s quite strange being at this heavily fortified border, seeing these two hostile sides facing each other nose-to-nose, and contemplating the immense destruction and loss of life that would occur were it to all to kick off again, and to then return to downtown Seoul where the throngs of shoppers, diners, and revellers go about their shopping, eating, and partying, just as if everything were normal and the nuclear Sword of Damocles weren’t dangling by a thread over their heads. 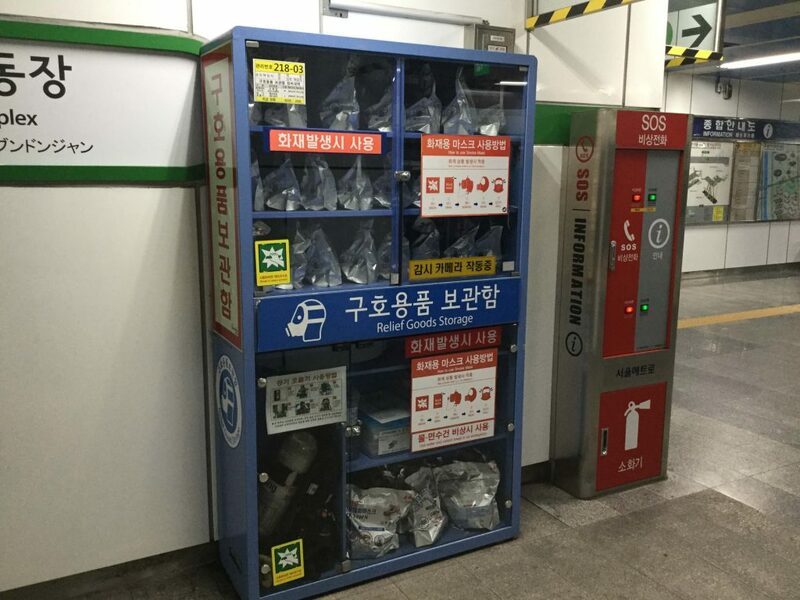 I’ve personally spent over a year total in Seoul, and the truth is that you just really don’t think about North Korea while going about your daily life in the city. There are little reminders here and there – most obviously, there’s all the cabinets full of gas masks in the subway stations, also the military aircraft you see overhead when you go skiing near Seoul or the obvious military presence if you go hiking on Inwangsan or Bugaksan – and sometimes tensions do flare up significantly, but by and large, the North doesn’t intrude too much on the daily lives of South Koreans. 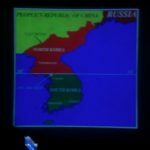 And should you stay a while in Seoul (or elsewhere in South Korea) you too will quickly learn to pay North Korea little mind; fact is, Seoulites have by and large become desensitised to North Korea’s temper tantrums and antics and simply get on with their lives, hopes, and (comparatively mundane!) fears. 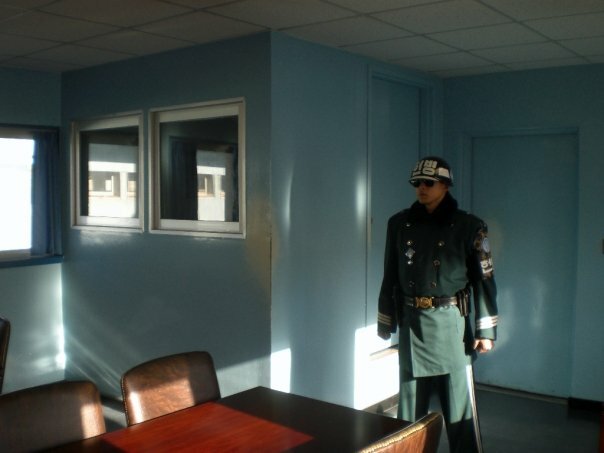 Have you been to the DMZ? How was it? 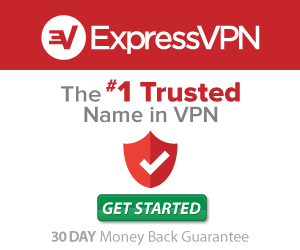 Or do you have any questions? Leave me a comment below!